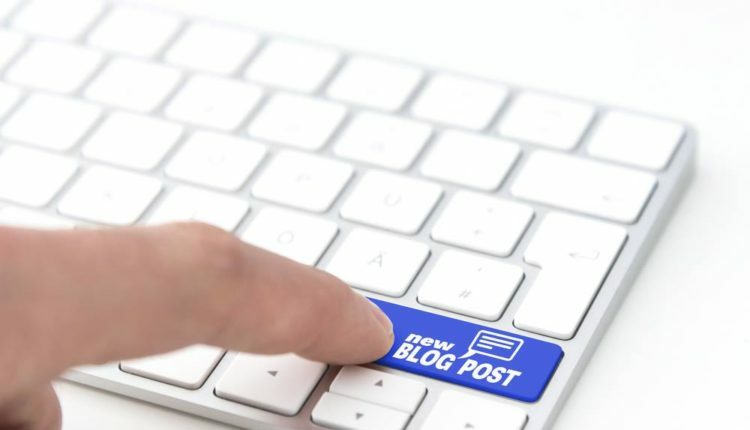 Anyone will assume that only native speakers can become good content writers because of the facts that blogging is all about writing and native speakers are supposed to have a good command over the language. Just like this, it is believed by many people that only the extrovert people can become great writers as it will easy for them to express their thoughts to the other person. Just to clear the air and the thoughts of many people there is no such defined rules for blogging. A person who is an introvert can equally be a good writer just like an extrovert one or in many cases even better than them because when they fail to express their thoughts with their words they do it by taking the help of writing. Therefore, the blogs of introvert people tend to be more apt and realistic. Just like the above example, it is also possible for a non-native English speaker to become a good blogger and write quality content. You do not necessarily need to have many degrees or any certificates to get approved to become a writer. The only few things that you require to become a writer who writes quality content is that you should relate to your audience, good command and knowledge of language and should be able to connect with them on the personal level. Nothing less or more is important or matters. Although to help all the non-native English speakers who still lack the confidence to be able to write quality content, we have certain tips to share. To sharpen and enhancing your writing skills, you must develop the habit of reading quality content to find out which special areas they are targeting and where you are lacking. Also, reading habit will help you enhance your vocabulary and will show you the different ways in which you can frame your sentences. It will make you aware of the current topics as well. To improve writing skills in your blog niche, you can use Google search to find best blog and blogger in the same niche. You can subscribe to their regular newsletters. To organize these blogs and content can use tools like Pocket, Feedly, Flipboard, and Instapaper etc. One more thing, don’t forget to learn phrases and expressions. Use them in your article to make it attractive. Proofread the various articles and blogs that other people have written and found out any possible error or mistakes in them. If not, analyze the formation and presentation of the content which will help you to understand exactly what you have to do. Hiring a native English proofreader is a good idea but no worry if not possible for you. There are some other ways like asking your native English speaker friend to detect cultural and language inconsistencies. They can point out what you’ve done wrong. But keep in mind all native English speakers are not qualified, proofreaders. Doesn’t matter if you have made some mistakes in your first try. What really matters is the idea that you are trying to reach out to the audience. Make your idea of content your powerful tool that will overshadow your mistakes of spellings and then you can work on that part too. You can find ideas at many places. You can write your experience about you’ve tried to do. Taking ideas from other blogs, discussion forums, question-answer platforms like StackOverflow and Quora is not bad. Including these, you can prepare resource articles after good research work. This practice will bring a lot of traffic and post shares. There are many guest blogging sites available. Writing content for some average site will not give you enough opportunity to learn and develop new things whereas getting associated with a quality guest site will give you enormous options to develop many new things in your personality. Quality blogs and magazines have great editorial teams. When you submit your content to them. They point out the bad wording and spelling mistakes and let you know how to fix them without changing the main idea. Thanks to the automation in the world that now we don’t have to do everything on our own. We have a number of tools available for them. Likewise, you can make use of the various spelling and grammar checking tools which will help you write perfect content by correcting your mistakes made. These tools are can detect spelling, grammar, and punctuation mistakes. Also let you know overused words, cliches, and long and complicated sentences. Grammarly, Ginger, and Hemingway are the top tools. If you want to develop the skills of writing blogs with proper command over the language you must first get a command on speaking with it. If you can frame correct sentences and can speak correctly in the language it will be very easy for you to write quality content on your own. No matter how much time you take and how hard it appears, in the beginning, you must start practicing writing by writing at least one blog in a day. This will groom up the personality and will help you write content in the proper manner. Try and find out the possible errors in the content by yourself. This practice will let you find and correct the error that you must have been making. Repeating this exercise for some time you will get a good hold over the language. Don’t let the fact of being not a native English speaker come in your way of becoming an amazing content writer and write quality content and make your mark in the crowd. Use the following tips and let us know what benefits they gave you.